Today is Peculiar People Day. A day honoring those people who are strange, unusual, quirky, odd, different or those who stand out in a funny way. Let's face it, we're all a bit peculiar at times. So why should this day be special? Today is a day where you can emphasis that thing about you or others that is a bit peculiar. Why hide it when you can show it off today. Here's what's happening around the Colorado beerosphere today Friday, January 10th, 2014. If you aren't reading this article on FermentedlyChallenged.com, you don't know what you're missing. 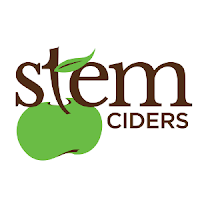 Stem Ciders (Denver) - The Denver metro area is getting a duo of openings this week including Stem Ciders who opens their doors for the first time today at 2811 Walnut Street, Suite 150 in Denver, CO. They will specialize in Hard Ciders and will have 3 unique ciders on tap starting today. They will open at 3pm and will have two food truck on hand for their Grand Opening. Plus live bluegrass music from 7-10pm. Plenty of room for dancing too! 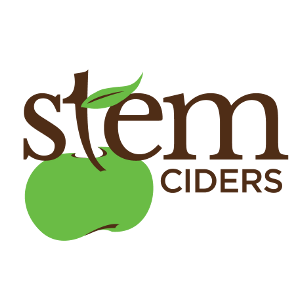 Their ciders are Colorado grown, pressed and produced. Hard ciders are naturally gluten-free as well and taste great. Great Divide Brewing Co (Denver) - Each season, Great Divide highlights and releases several of their seasonal beers. This month, you can enjoy 3 returning favorites: Orabelle Belgian-style Ale, Espresso Oak Aged Yeti, and Old Ruffian Barley Wine-style Ale. Orabelle is finally back after its successful 2013 debut, while two-time GABF-medal-winner Old Ruffian returns with a fresh new look. Also while it lasts, Espresso Oak Aged Yeti makes its first showing since being named #43 on RateBeer.com’s list of the 50 Best Beers on Earth. So, while some of you might be longing for spring, Great Divide is going to enjoy every last sip of winter. Kokopelli Beer Company (Westminster) - Today marks the Grand Opening of Kokopelli Beer Company at 8931 Harlan Street in Westminster, CO. They will open at 2pm and stay open til 9pm or so. They will be a brewpub serving up not only beer but specializing in pizza and other dishes as well. Beers expected for opening day include a Pale Ale, an ESB, a White Belgian, an Amber, an IPA, and a Milk Stout. These beers range in strength from 4.9% to 6.8% ABV. They plan to be open 7 days a week. Full business hours schedule has not announced yet. Dad & Dude's Breweria (Aurora) - New beer on tap today. Stop in and try their Sweet Sassy Molassy Brown Ale. It's billed as a lush brown ale with an aroma of rich molasses. Also on tap: Hefeweizen German Wheat Ale, Model Citizen Blonde, Muffin Top IPA, and Shot in the Dark Belgian Barleywine. Plus several guest brews. Denver Beer Company (Denver) - Today's featured Tap List Pic comes from Denver Beer Company. Check out what's on tap for your weekend. Dry Dock Brewing Co (Aurora) - For today's Firkin Friday, Dry Dock will be tapping a firkin of Amarillo Dry-hopped IPA today starting at 3:00pm. Breckenridge Brewery (Denver) - Join in on Thursday January 16th from 4pm to 7pm at The Irish Rover in Denver, CO (54 S. Broadway) in the Baker neighborhood to celebrate the release of Ophelia - their new Spring seasonal beer! This FREE party will include complementary Ophelia Pints and Appetizers! Meet the brewers who worked hard to make you this amazing new beer! Ophelia is a tale of two styles. The quintessential good girl gone mad. Subtle hints of citrus round out the complex aroma of Mosaic hops, for a beer so drinkable, it’ll last through multiple acts. Black Shirt Brewing (Denver) - A film crew will be on site filming for the TV show "Brewed" at 7pm. They would like to see a lot of people down there and want to interview some of you. Head on down tonight and you might just end up on a TV show. Jagged Mountain Craft Brewery (Denver) - Their newest beer, Vallecito Belgian Dark Strong Ale (11% ABV 32 IBU) is now on tap (earlier than expected). It's got a reddish-brown color with medium body and has tastes of raisin, plums, dark fruit, sweet roasted malt and caramel with a dry finish. Later in the weekend they will announce the tappings of three other beers that will come up in the next two weeks. Blue Moon Brewing Co (Denver) - A new spring seasonal is now available by the name of Valencia Grove Amber. An amber ale with a built in taste of orange. Part of their Seasonal Collection. The Post Brewing Co (Lafayette) - Yesterday, The Post Brewing Company opened for business at 105 W. Emma Street in Lafayette, CO to a packed house. This brewpub will be known not only for their beer, but also their hot chicken dishes and other food faire. They are serving dinners starting at 4pm and will soon expand to serving lunches as well. Weekend Brunch will begin starting January 25th. One of their mottos is "Hot Chicks love Cold Beer". They be serving their collaboration beer they did with Odd13 Brewing on tap called Mild Dark Ale (4.0% ABV) along with several other guest beers. They will start serving their own beers full time starting January 17th. Their brewmaster, Bryan Selders, is formerly of Dogfish Head. They are open daily at 4pm. Happy Hours Monday through Friday 4pm to 6pm with $1 off beers. They also serve wine and cocktails. They are part of the Big Red F Restaurant Group. Oskar Blues (Longmont) - Oskar Blues returns to Idaho after a 3-year absence. [PRESS RELEASE] Oskar Blues Brewery has announced a re-introduction of their canned craft beer to their northern neighbors of Idaho with CSB Craig Stein Beverage. The partnership represents a victory for Oskar Blues & Idaho craft beer lovers after seeing Oskar Blues pull beer out of the state as demand outpaced supply during 2011. “The bike scene and single track along with Payette, Boise and Salmon River access reminds us of why we brew beer in Lyons, CO & Brevard, NC and we started canning beer in 2002. It’s a great fit for our passion for the outdoors and complex craft beer-in-a-can” says Oskar Blues founder Dale Katechis. The Oskar Blues launch is scheduled to kick off January 14th by building on and off premise distribution and events with the full line-up of craft CAN packages and award winning draft offerings of Dale’s Pale Ale, Mama’s Little Yella Pils and Old Chub Scotch Ale. Extended draft offerings are set to follow in the spring of 2014. J Wells Brewery (Boulder) - Today marks their One Year Anniversary. They will have 7 beers on tap today. Stop by and wish them happy anniversary. Diebolt Brewing Co (Denver) - Today Diebolt is tapping two versions of their Biere de Gard / American IPA fusion beer called Inde Pale Biere. One used a Saison yeast and the other used a Trappist yeast. Stop in and compare the two. See what difference a yeast can do. Mountain Sun Brewery (Boulder) - Get ready Boulder and Denver. Stout Month is just 21 days away. Get ready to embrace the dark for a full month! At all Mountain Sun locations. Upslope Brewing Co (Boulder - Lee Hill) - For Firkin Friday, Upslope has tapped a Chili Stout. Stop in and get pumped up for the playoffs this weekend. Broken Plow Brewery (Greeley) - Good news! The TTB finally approved their new recipe and they now have their new Chili beer on tap. Just the right amount of heat. This brings their tap list to 4 beers. Stop in and try it out. Open from 2pm to 10pm tonight. Hungry? Papa John's Pizza will hand deliver your pizza to your seat in the taproom - just 3 doors down. Located at 4731 West 10th Street in Greeley, CO.
Hunters Moon Meadery (Severance) - Only 2 1/2 cases left of their Limited Edition 2011 "Trappers Cask" mead aged in a chardonnay barrel! It was a Silver International Medal Winner! By Spring the meadery will be bottling their 2012 Version of Trappers Cask, aged in a Merlot barrel. Several Meadery visitors have gotten special tastes of it and gave it 2 Thumbs Up! Mead is available by appointment only (970)302-3183 or stocked up at select locations in Northern Colorado. Blown Spoke Hard Cider Co (Loveland) - Speaking of mead, Blown Spoke also does mead and has a Blackberry mead on tap. It was made with Wynn's Wildflower Alfalfa honey and local blackberries. It's a 7.5% ABV light mead. Just a small quantity available. Next up - a Cherry Mead. 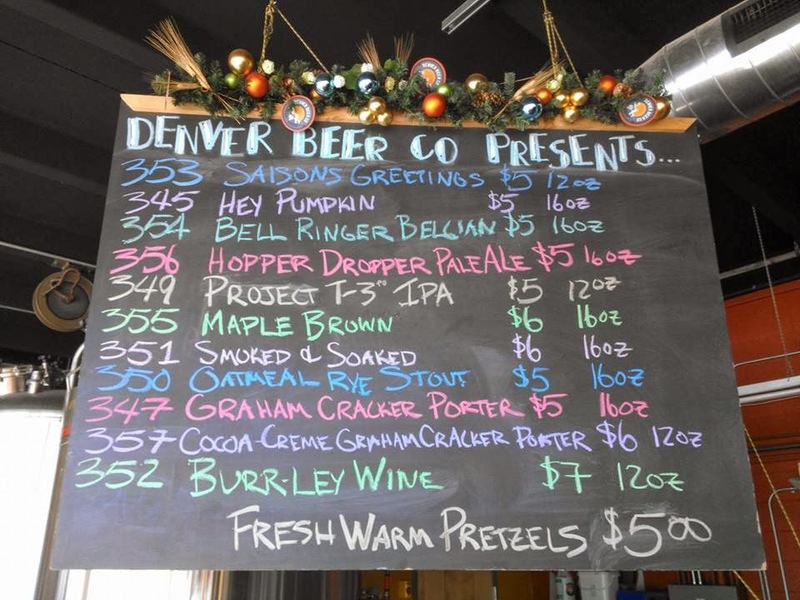 Dillon Dam Brewery (Dillon) - Hopefully today, the brewery states that their new Winter Warmer, an English Wassail style brown ale will be ready for tapping (if not demand that they give you some anyway). It features oven-roasted apples, fresh orange and ginger, and plenty of holiday spices to balance out the sweetness of carmel, praham cracker and toasty-nutty malts. Then, on Tuesday, January 14th at 5pm, they will tap a 5-gallon only keg of the Brewmaster's Special Stash. It's a grapefruit and fresh simcoe hop doubly dry hopped IPA. Come watch the NFL playoff games on Saturday and Sunday.